We issue Bahamas CDC Seaman Record Book Within 10 Days and Transaction Certificate within 2 days .. Very Easy Process and Normal Documents required for Bahama Applied for Bahamas CDC Seaman Record Book : Documents Color Passport / One Photo (White Back Ground) and Medical ..
Our experienced Senior Technical Staff (ex-Seagoing and Shore based Managers) are able to provide a Marine Consultancy service - for all requirements and eventualities, covering Condition Surveys, Pre-purchase inspections, Damage surveys etc. - Quickly access areas where Repair observation have been done. 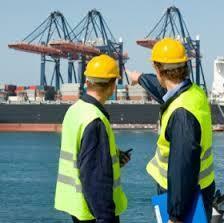 We provide consultancy for marine projects for costing and feasibility of the project with various aspect and option. Our aim is to put the clear picture in front of client for the project to maximize the profit with the best use of resources available.